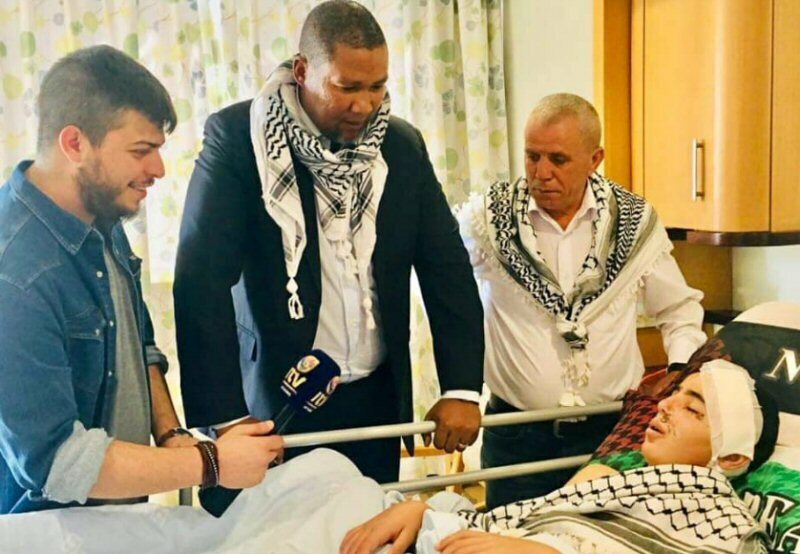 Nelson Mandela’s grandson Zwelivelile “Mandla” Mandela recently visited Palestinian teenager Muhammad Tamimi in the hospital of Johannesburg, in South Africa. Tamimi was shot in the head, in his village of Nabi Saleh, northwest of Ramallah, in the occupied West Bank. He spent at least four days in a coma and underwent two operations to remove a bullet lodged in the back of his brain, after being shot at close range by an Israeli occupation soldier. He was unable to attend school for at least six months because of the injury, according to Days of Palestine. The boy traveled to South Africa to receive proper treatment after he had lost a quarter of his skull. Mandela, born in 1974, is the chief of the Mvezo Traditional Council and the grandson of Nelson Mandela. He has been a member of parliament for the African National Congress since the 2009 election.